I moved here almost 2.5 years ago...and within a week or two of my move, I started working out with November Project SD. Naturally, I was shy and it took a couple of weeks for me to really, actively start talking to people in the group. However, someone quickly added me to the community's social Facebook group - and I saw a post about forming a team for a marathon relay in San Francisco hosted by North Face. Totally out of my nature, but in a really desperate ploy to make friends (because, adulthood is lonely...and so are new cities), I commented and asked to be added to a team! A few months later, I headed to San Francisco for the North Face Endurance Challenge with team members that had transitioned from total strangers to great friends. I raced my heart out, met so many new people and felt part of something way bigger than myself (and also very cold...see photo above...). Well, 2 years later, I'm headed back to San Francisco. This time around, my dear friend Stefanie surprised me with a paid registration email for the race (Team #ShortAndSensitive). She knew I had been feeling left out and sad I couldn't go last year due to injury (and didn't think I'd be able to go this year because I couldn't run), so she signed herself up for three laps...and offered to walk/hike a lap of the trail race with me so I could still participate. Who knew that commenting on that one Facebook thread 2.5 years ago may have led me to this moment and to this wonderful community that really transcends San Diego? Anyways, sappy story time over. This is all to say I'm ecstatic to be heading up to San Francisco with friends this weekend - and I'm happy to hit the trails...even if it's hiking versus running. 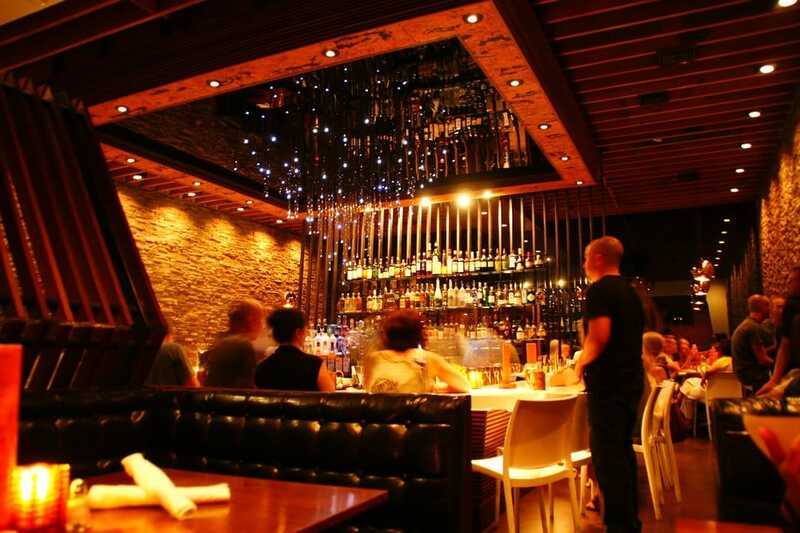 Last week, I finally got to try out one of San Diego's notable bars/restaurants tucked away in Mission Hills - Starlite....and it lived up to the hype. Not only was the entire space gorgeous, the food and drinks were amazing. Highlights of my meal? The Le Botanique (tequila, aperol, grapefruit, lemon) and the Fish of the Day (served with winter squash cavatelli, spinach, pepitas and sage brown butter). My foodie heart was so happy...and full. Highly recommend for a date night! As someone who suffers from a pretty severe legume allergy, I am always on the hunt for a solid almond butter (or sunflower butter). Enter Wild Friends. This small (and totally cute!) brand makes the best tasting nut and seed butters I've yet to try. My favorites? Honey Sunflower Butter and Vanilla Espresso Almond Butter. Bonus: they offer single-serve nut butter oats made with their Almond Cashew Super Butter (flax + chia + clover honey added). The brand offers peanut butter, as well, but...I may be a little biased against those! It drives me nuts to see people fangirl over spots like Jamba Juice or Juice It Up - the sugar content in those drinks is so insanely high! But, lately, I've really been craving smoothies, so I've been on my at-home smoothie game. So, when my friend Teresa's company Clean & Colorful Kitchen announced that they were hosting a Healthy Smoothie Building Workshop, I was all over it. We spent the workshop learning about ratios of protein to veggies to fruit to superfoods (and everything in between). It was a nice refresher on how to craft something delicious that's doing good for my body. Did I mention we got to take home prepped smoothies? Yes please. Spotify's playlists have been on point lately. Housewerk included. This house list has been my work soundtrack for the last week and a half. So good. If you know me at all, you know how much I enjoy cooking. It calms me down and I like to see what I can create. One of my favorite places to snag new recipes to test out? Love & Lemons. This blog (and now book!) features seasonal, fresh (and usually vegetarian) meals. Not only are the meals tasty, I love the aesthetic of the entire blog - marble, black, white, simple and classy. Did I mention their Instagram is drool-worthy? Yep. On my neverending quest to try all of San Diego's breweries, I headed to Saint Archer Brewery on Friday with my friend Dana. While I've had St. Archer beer plenty of times, visiting their spot in San Diego was a really fun experience. Wood accents, string lights...I was about the space. Plus, my entire flight was fantastic: Citra 7, Mosaic IPA and Sonoma DIPA. The more hops, the better, in my opinion. I love online shopping. If I can avoid the mall, I'm a pretty happy gal. One of my favorite spots to snag some clothes is Revolve. This site compiles clothing, shoes and accessories from a ton of different designers around the world. I head to Revolve's sale section, where I find my favorite looks...for just a fraction of the price I'd ever dig up in a store. The best part: they ship incredibly fast. I ordered a few tdresses yesterday...and they arrived today! If you live in San Diego, I'm sure your entire Instagram feed has been cluttered with the sunsets lately. You know what? I'm okay with it. 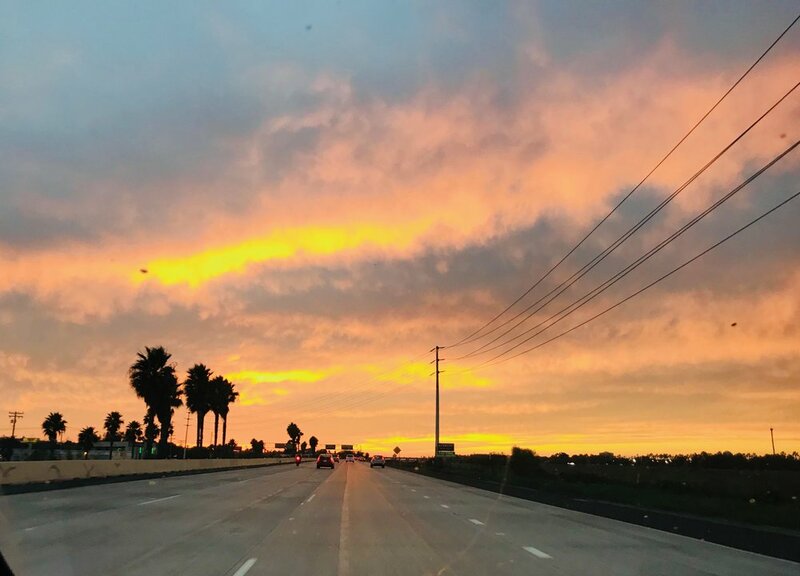 The sunsets this fall have been orange and beautiful. Plus, it's been feeling crisp come sundown. Sweatpants season! I started a new volunteer position...where I can't show any of my tattoos. While I could cover my visible ones up with a sleeve, I didn't want to be stuck with long sleeves on hot days. 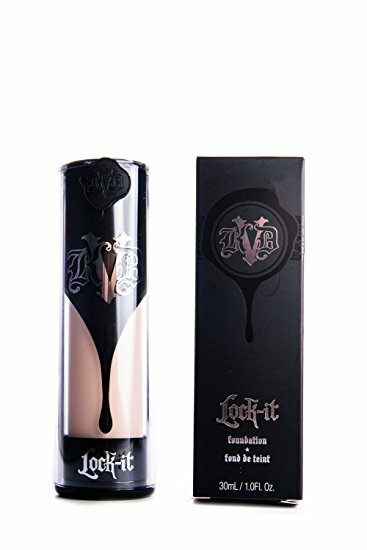 So, I stumbled on Kat Von D's Lock-It Tattoo Foundation. This foundation has worked like a charm covering up my tattoos. It's amazing. When Harry Potter and the Cursed Child initially debuted, I was wary of reading it. I didn't want it to ruin the magic (see what I did there...) of my favorite series. But, this week, I finally hopped on the bandwagon and started it. Well, within one night I've read over 100 pages...and I can't stop. It's written like a screenplay, so it's a quick read...and totally retains the magic of the first 7 books. I'm looking forward to finishing it tonight!